BRACEBRIDGE — A 36-year-old Toronto man is dead after a drowning accident late Monday afternoon on the Muskoka River in downtown Bracebridge. OPP divers recovered the body of a 36-year-old Toronto man who died while swimming Aug. 6 in the Muskoka River. Provincial police responded to Kelvin Grove Park Aug. 6, 2018, at 5:10 p.m. They say a man had been swimming from the dock alongside the park and failed to resurface. 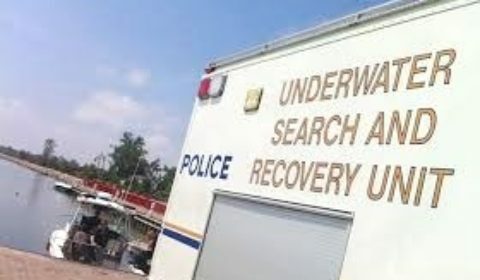 Police, the OPP Underwater Search and Recovery Unit (USRU), Muskoka EMS and the Bracebridge Fire Department responded and began conducting a search. The body of a 38-year-old Toronto man was located by the USRU shortly after 7 p.m. and lifesaving efforts were unsuccessful. A post mortem examination was scheduled for August 7, as a part of the investigation into his death. MCA presents Henderson & Kolk Guitar Duo Friday April 26 …. Thank you if you have already Subscribed.